As summer winds down, we’re given the opportunity to check out some new cold weather kicks from a company that knows how to keep the focus on their philosophy and not one particular shoe. 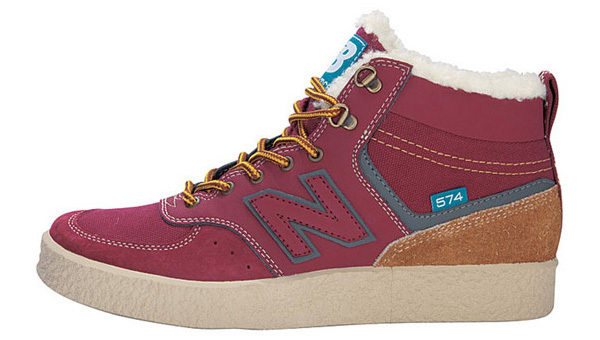 New Balance, unlike most shoe companies, uses a numbered reference system instead of the traditional naming. 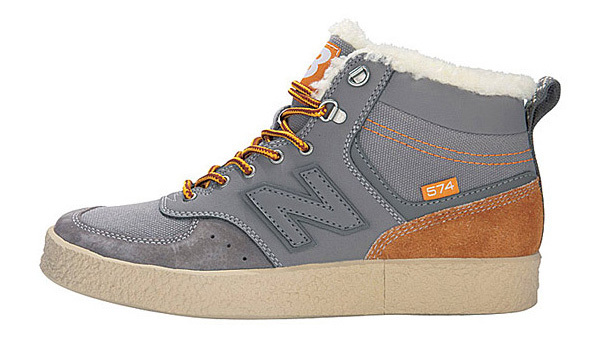 The newest in their line is the 574B sneaker-boot hybrid that features shearling lining and hiking boot laces. REI fanatics will love the three outdoor-inspired colors — red, grey and green — and the fact that these are actually functional hiking shoes, as opposed to luxury “hiking” boots with zero utility. 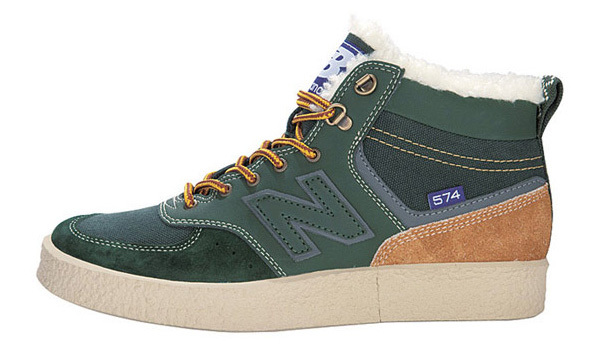 An update of the classic 574 sneaker, the shoes will be available next month in select New Balance dealers — or you can buy them from atmos for $110.